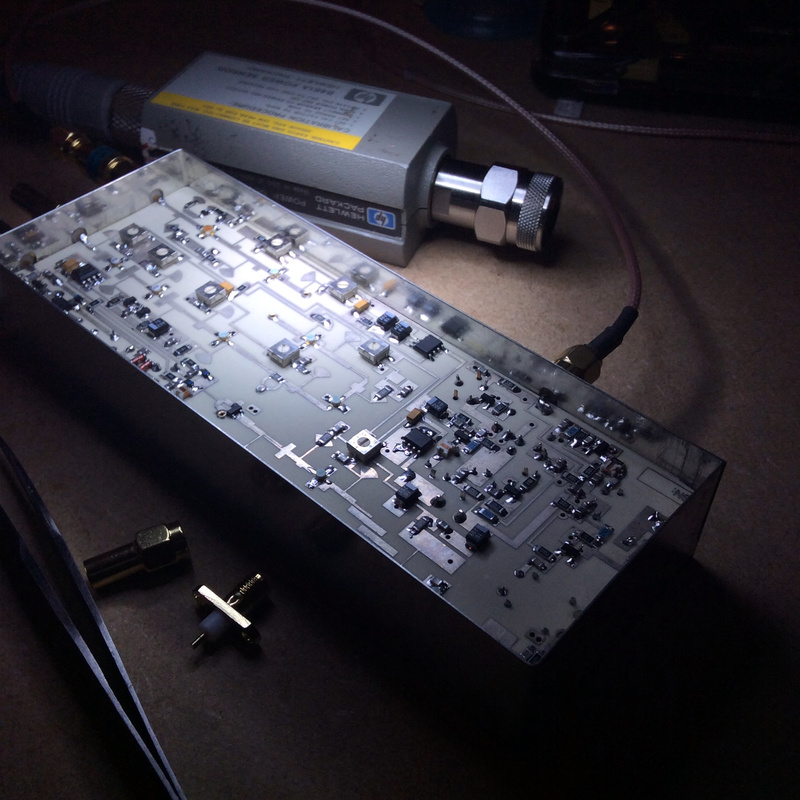 The finished DB6NT G2 10GHz transverter kit under test. I can get +19dBm out of it as the input pad has too much attenuation, don’t seem to have any 47 ohm 1206 resistors in my junk box. 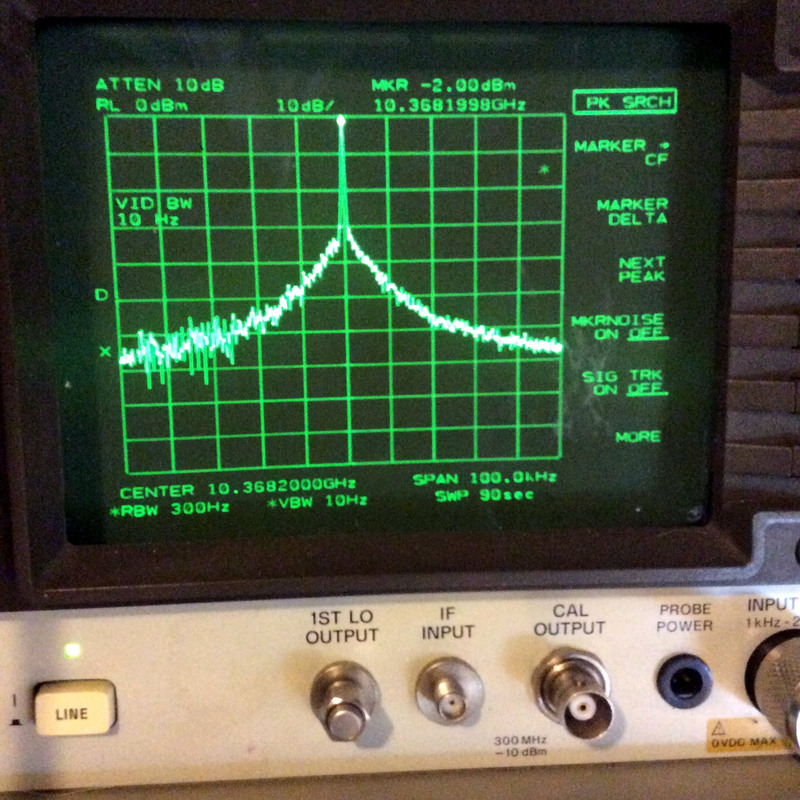 Phase noise performance is truly terrible with the E4421B signal generator as the 106.5MHz LO source. As it is a x96 mult LO chain, it is hardly surprising. Finished system will have a proper GPSDO-locked low-noise LO. Aftermath of the build process. 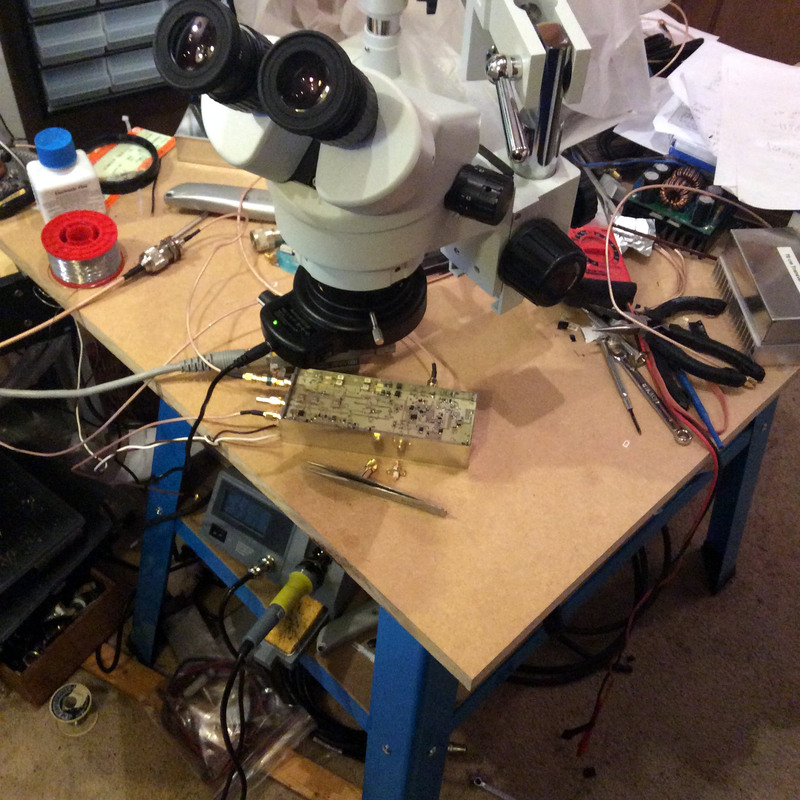 Time for a major tidy-up of the SMD assembly area.